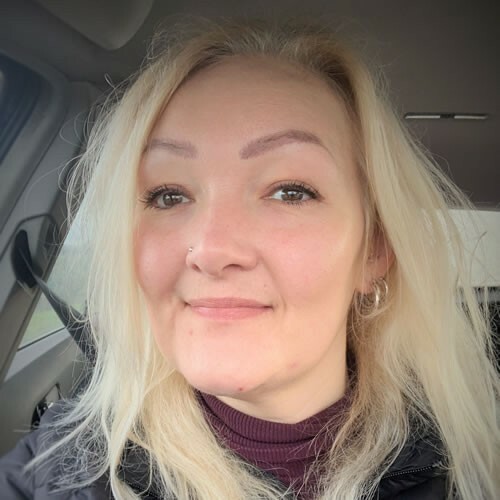 Kelly Peacey is a respected and well-known crystal healer, intuitive, dowser and spiritual/metaphysical teacher practising at the Isbourne as well as the founder/principal of Cotswolds School of Crystal Healing and Awareness offering professional practitioner training in Crystal Healing. A teacher/therapist here Kelly specializes in ‘Subtle Energies’ and ‘Healing’. During sessions, she aims to transform their presenting issue and empower her clients by adjusting subtle energies. Crystal healing is a holistic, non-invasive, vibrational energy-based system of healing that treats the whole person and their integrated energy system. Many claim it to be deeply relaxing. A session involves the use of precisely placed crystals either on and/or around the physical body. Crystals absorb, focus, direct, detoxify, shift and diffuse energy as they interact with the electromagnetic forces and subtle energies within the subtle human or environmental energy field. Illness is regarded as a dis-ease of flow of subtle energies and the final manifestation of spiritual, environmental, physiological, psychological, emotional, mental, karmic, or ancestral imbalance. A crystal healing session aims to restore balance and wellbeing by correcting the flow of subtle energies. Anyone having a treatment is advised to not schedule a busy time afterwards but to seek relaxation to integrate the healing further. A course of treatments may be recommended and paying for a course in advance can reduce the cost substantially and ensure regular confirmed dates to suit your needs. Crystal Healing is normally suitable for everyone but a consultation is required to identify needs and safeguarding of clients. Multidimensional Healing combines the beautiful energies of crystals, Angels, Ascended Masters and the highest healing energies. This is deep soul healing work and can affect all areas of one’s life including health, relationships, home and work. The sessions are guided by Kelly’s team of higher helpers and it facilitates the integration and alignment with one’s own Soul Awareness. Working at a Soul and Divine Source level ones Souls Journey is assessed and sessions may include Past Life Regression, Psychic Surgery, Soul Fragment Retrieval, Negative Energy and Entity Clearing, Soul Contract Renegotiation, Karmic Healing Ascension Journey. Why would you want a Life Path Reading? We all have points in our life where we feel lost or perhaps lacking in direction. A Life Path Reading gives you the chance to look at your life from an ‘above’ perspective. Being in the centre of our life we often cannot see the wood for the trees and are clouded by emotions, feelings and thoughts tainted with fear. An ‘above’ perspective as channelled helps to identify what really is happening and allows you to take advantage of your own unique gifts and talents in going forward. A dynamic, respected and well-known crystal healer, intuitive, dowser and spiritual/metaphysical teacher Kelly Peacey has been practising at The Isbourne as a teacher and therapist for over 9 years. January 2017 saw her develop her own school offering professional practitioner training in Crystal Healing. Based at The Isbourne premises Cotswolds School of Crystal Healing and Awareness is a member school of Affiliation of Crystal Healing Organisations (ACHO) and the Crystal Therapy Council (CTC). As a teacher/therapist Kelly specializes in ‘Subtle Energies’ and ‘Crystal Healing’. During sessions, she aims to transform a client’s presenting issue by seeking causation and making subtle energy adjustments. Clients present with many different issues from: physical pain, emotional and mental issues, relationship difficulties, seeking new direction, manifesting, past life and ancestral work, balancing the energies at home or work for health and well-being. Kelly believes very firmly the old axiom, “As above, so below, as within, so without”. If reality is at its deepest level based on frequency and levels of consciousness then it must be corrected at this level also as everything is interconnected.